Faculty, staff and students are invited to attend “Diversity and Inclusion: A Conversation with Cargill Leaders” at 2 p.m. Friday, Nov. 2, in Town Hall at the School of Leadership Studies. Featured speaker will be Raymond Hall, global director of inclusion and diversity for Cargill. Hall joined Cargill in 2008 and has been in his current position since May. 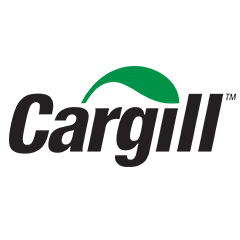 Cargill is a longtime corporate partner of K-State, and has contributed more than $5 million to the university for academic programs, scholarships and facilities improvements across campus. In 2008, the company established the Cargill Project Impact Diversity Partnership at K-State. Project Impact initiatives focus on recruiting and retaining qualified multicultural students in the colleges of agriculture, business administration and engineering. Joining Hall as panelists for the conversation are Rick Calhoun ’76, president of Cargo Carriers, a Cargill business; Suzanne McCarty, senior director of community relations; Chuck Warta ’91, vice president of Cargill Animal Nutrition; Heather Benson, university recruiting manager and Careem Gladney ’09, associate business manager of Cargill Animal Nutrition.